What should you do about those unpleasant eye floaters? Debris in your vision is a nuisance, but you may have to live with it. Strings, blobs, and cobwebs: they all describe types of specks that may appear to float across your field of vision. These "floaters" are usually just a nuisance. "In many cases, floaters become less noticeable or more tolerable over time, and can even disappear entirely," says Dr. Jeffrey Heier, an ophthalmologist and Harvard Medical School instructor. But for some people, floaters are distracting to the point of interfering with vision. As we age, the thick, jelly-like substance that fills the center of the eye — called the vitreous — starts to form dense "blobs." Some of this debris may wind up floating around and blocking some of the light coming into your eyes. Most floaters are small and don't bother vision much. But one kind — called a Weiss ring — is larger and ring-shaped. It can interfere more with vision than other floaters. This larger type of floater is caused when the vitreous, which normally hugs the retina in the back of the eye, frees itself from the retina. Right now, Dr. Heier recommends only two approaches to dealing with floaters: ignore them, or in extreme cases, have surgery. 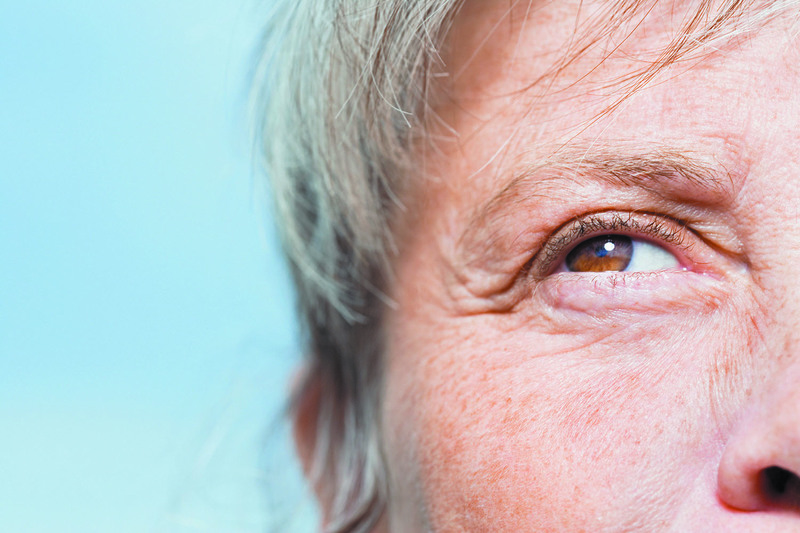 In the surgery, called vitrectomy, a surgeon removes the gel — along with its floaters — from the back of the eye. It's effective, but it has risks, including cataracts (cloudy lenses) and retinal detachment. It's usually a last resort for people whose floaters make it hard for them to see. Another treatment that's not currently recommended — a laser procedure called YAG vitreolysis — has begun to get attention. YAG vitreolysis vaporizes floaters by heating them. "You can see the tissue turn into gas bubbles," says Dr. Chirag Shah, a Boston ophthalmologist. The procedure is controversial, mainly because some doctors have been offering it since the early 1990s without any solid evidence about its safety and effectiveness. But Dr. Heier and Dr. Shah recently showed that YAG vitreolysis may deserve more investigation. They randomly assigned 52 people with Weiss ring floaters to receive either YAG vitreolysis or a sham laser treatment. Six months later, 53% of patients in the YAG group reported significant or complete improvement, compared with none at all in the sham group. The results were published July 20, 2017, in JAMA Ophthalmology. The new study is important because it's the first study of YAG vitreolysis in a randomized controlled trial, the gold standard for testing the effectiveness of a treatment. The results are also noteworthy because using the laser didn't result in any tears or retinal damage within the six-month follow-up period. "This was certainly encouraging, but we need more studies," Dr. Shah says. Critics of the study point out that it involved only people with Weiss rings, as opposed to other more common types of floaters. Therefore, the effectiveness of the treatment for these more common floaters remains to be demonstrated. Dr. Shah agrees: "Our results are not applicable to all patients." He encourages other eye doctors to study YAG vitreolysis for all types of floaters. A more serious condition that can be confused with floaters is a detached or torn retina, which can cause a sudden shower of floaters, flashing lights, or the appearance of a curtain coming over your vision. If that happens, you should immediately call your ophthalmologist (a medical doctor who specializes in eye care, not an optometrist) if you have one, or your primary care doctor. A detached or torn retina requires immediate diagnosis and treatment. Until we have better evidence for YAG vitreolysis — and Dr. Shah says several clinical trials are under way — your best bet is to ignore floaters, and simply watch for the sudden appearance of new ones. If you see them, call your doctor to report them. And if the strings, blobs, or cobwebs are more than a nuisance, talk to your doctor about whether the benefits of surgery outweigh the risks. "You may be a candidate for surgery if you have floaters that keep you from performing daily activities or work," says Dr. Heier.